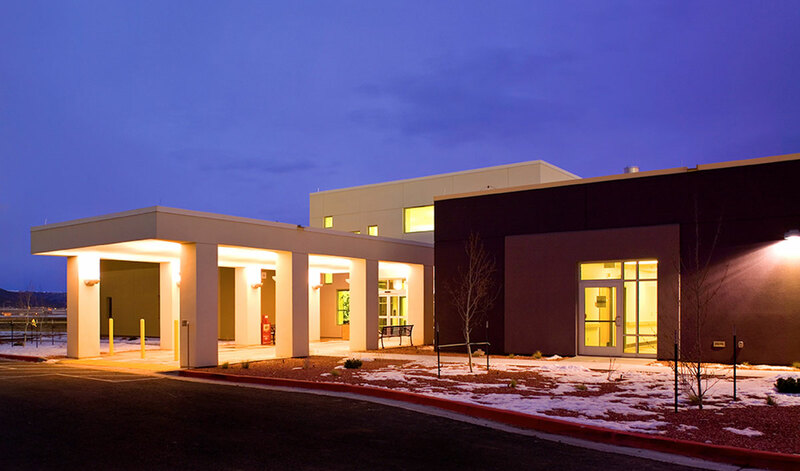 After collaborating with the owner who had initially planned an extensive renovation of their existing Hospital, The Design Group designed a replacement Hospital for the existing Miners’ Colfax Medical Center in Raton, New Mexico. This is a state funded hospital for the town of Raton and the Miners of New Mexico. 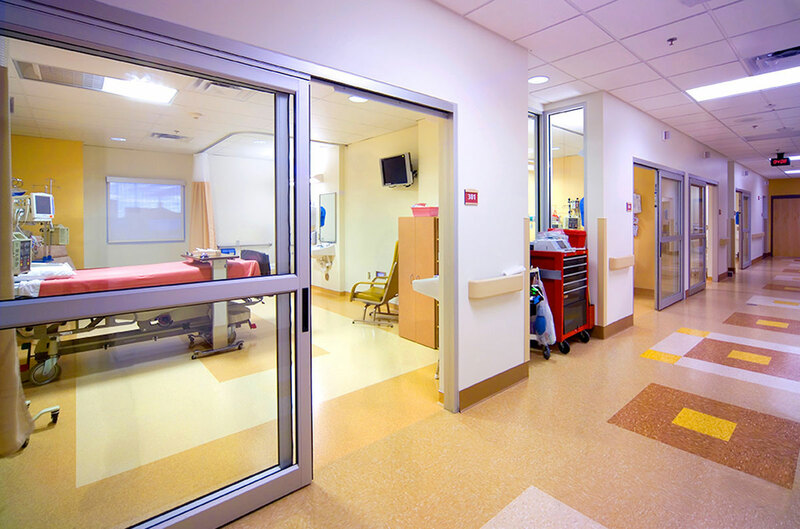 This 72,000 square foot community Hospital is comprised of 24 double occupancy patient beds, one isolation/accessible patient bed, four LDRP rooms, and four ICU rooms. 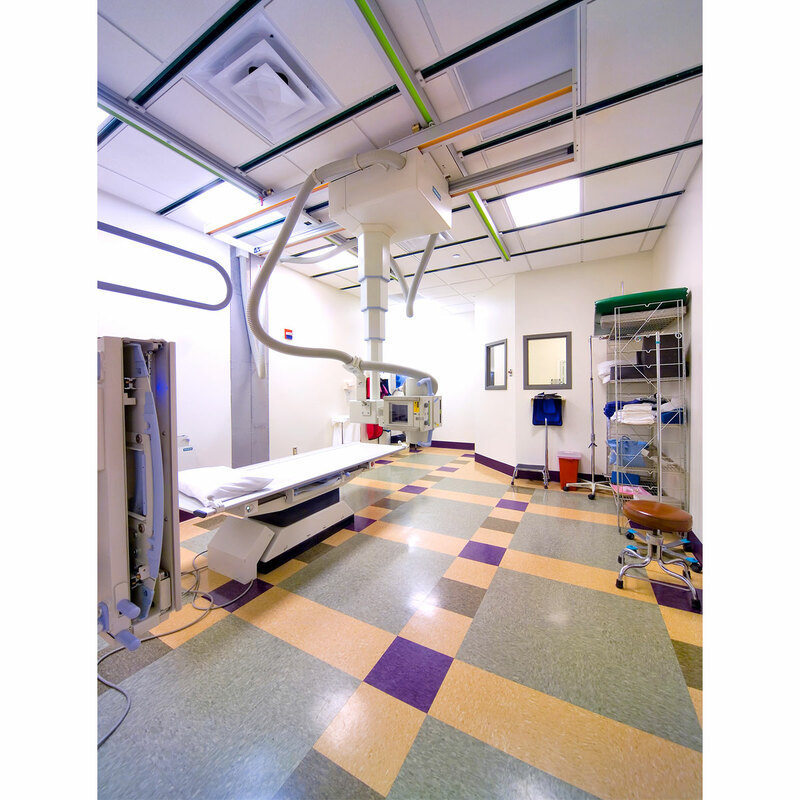 The Hospital includes two operating rooms, an emergency department with two trauma rooms, an in-house lab, pharmacy and imaging department, an outpatient Clinic, and an outpatient cardiology Clinic. The Hospital has massing that is fragmented to have each major Hospital department legible from the exterior. 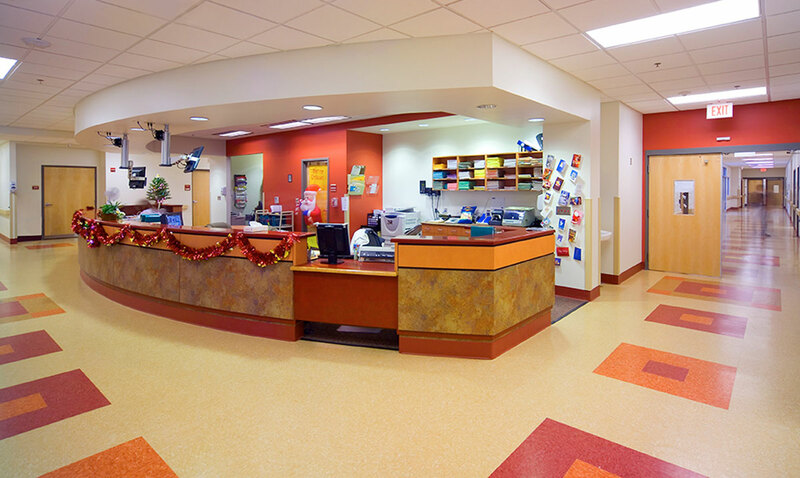 In addition, color was used as a wayfinding tool both on the interior and exterior to indicate each major Hospital department. 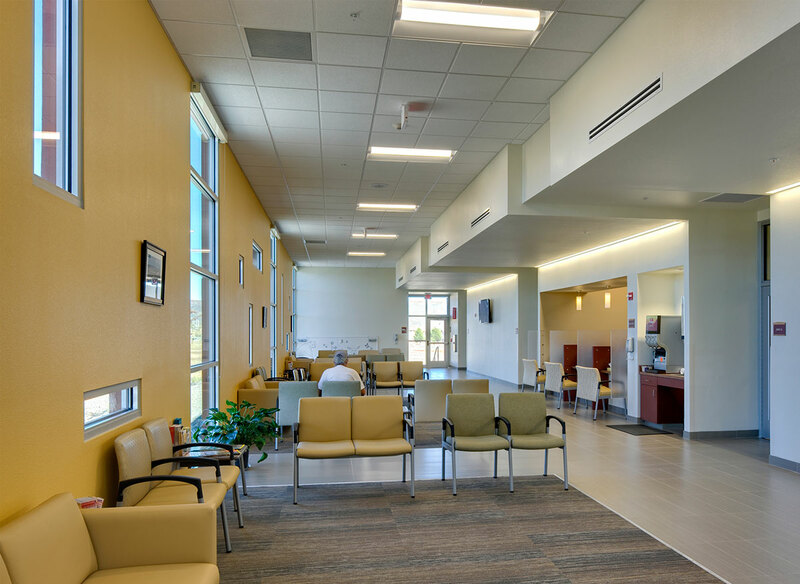 Patient rooms were oriented to take advantage of the adjacent mountain views. The project has interior courtyards near the dining area and the family waiting areas. The courtyards bring natural light into the main corridors and allow for families to enjoy the outdoors while waiting or dining. 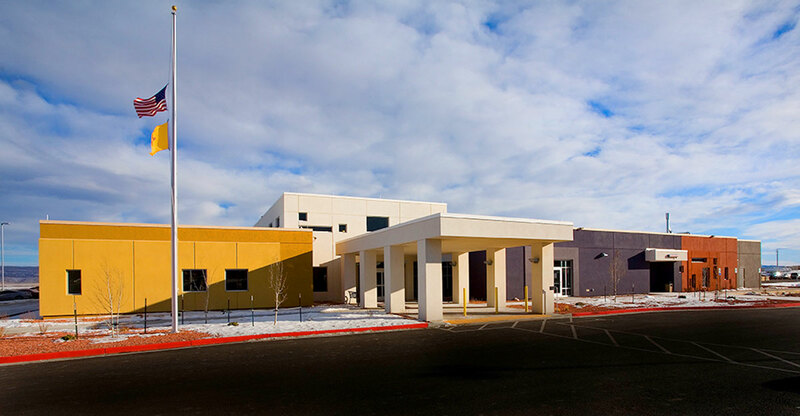 Our team just completed an 11,000 square foot addition of Miners’ Colfax Rural Clinic, outpatient Clinic to the existing Miners’ Colfax Medical Center. 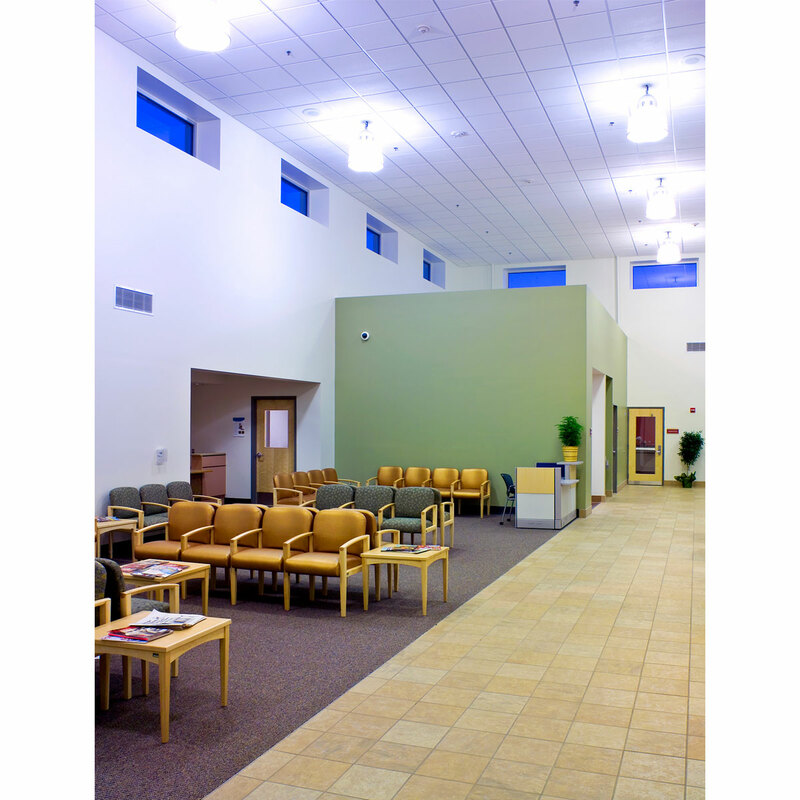 The project also included the 500 square foot lobby expansion to the existing Medical Center which serves as connecting element from the existing to the new expansion. 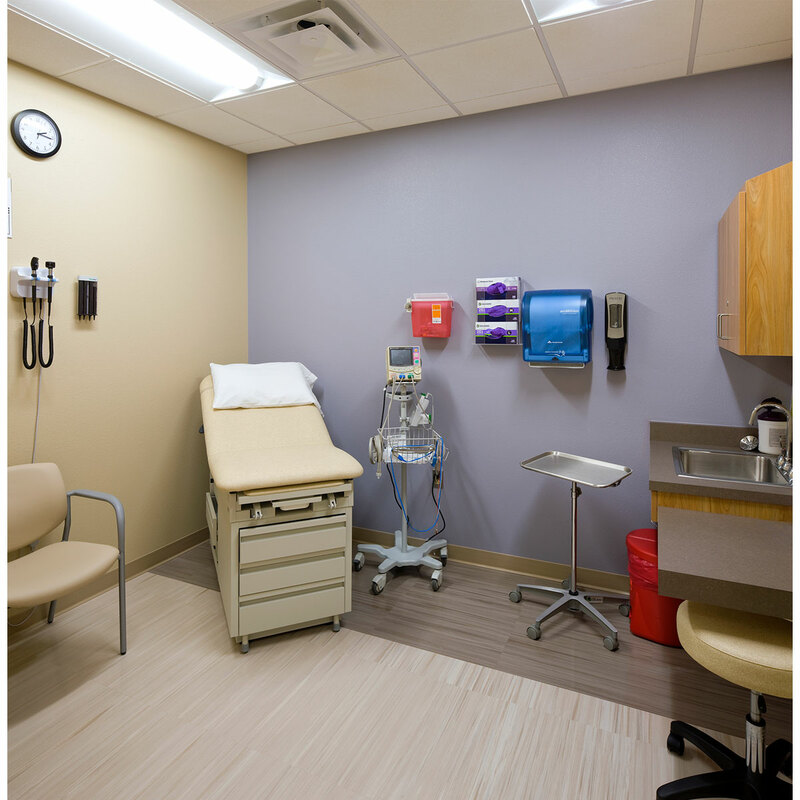 The intent of this project is to accommodate the increasing primary care demand of the local community.